GAL offers a fun, recreational slowpitch program for girls from Kindergarten through 12th grade. Teams are based on grade level, and are balanced with a mix of skill levels on each team. All skill levels, from beginners to seasoned players, are welcome at all ages. The number of teams varies each year, depending on the number of girls registered in each age group. Our in-house softball program is a great way to develop skills in girls of all ages. You can find division-specific information by selecting the desired division under House (Rec) Programs on the left navigation panel. The season begins with practices in April. Games begin in late April. The season runs through late-June to early-July, depending on the division. Practices are typically held once or twice a week prior to the start of games. Once games begin, coaches may or may not continue a weekly schedule of practices. Games are played against other GAL house teams within the same division; Divisions 1 through 4 have inter-league play with the Minnetonka Girls Softball Association (MGSA). Games are generally played twice per week, with game days varying by division. In addition to regular games, girls in Divisions 1 through 4 participate in a season-end tournament with MGSA. The fees for the 2016 season are listed on the Register Online section and also in the individual program descriptions. If you're new to GAL you can sign up for our email list and get our newsletters with all the 2016 season information. Parent volunteers coach all of our house teams. If you are interested in coaching a team, please contact us. It's a lot of fun and a very rewarding experience! In-house games will be played at Optimist or Glen Lake Elementary fields, depending on the division. Inter-league play with MGSA will include games at Guilliam (near the Big Willow baseball fields) and Legacy fields (located at Minnetonka High School). 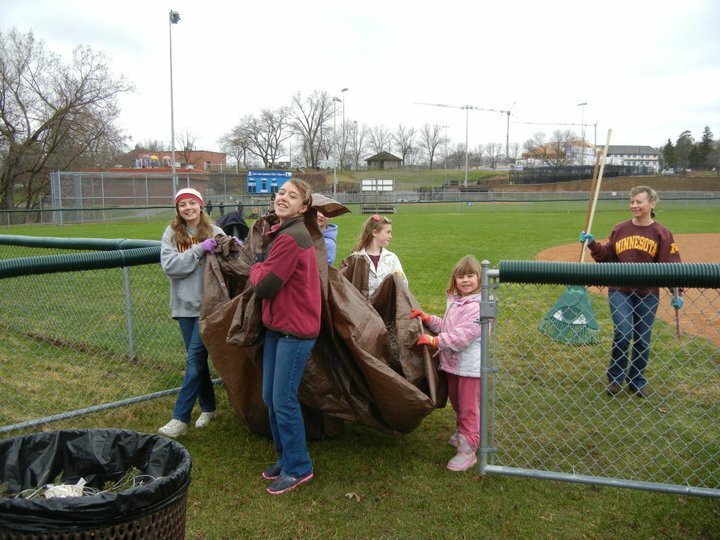 Before the start of the GAL season the GAL players and family members join together to clean up our Optimist field and the Glen Lake school fields. This rewarding Saturday morning is a great way to meet people before the season starts!